KARALIT announced that they would begin bundling CEI’s EnSight postprocessing software with their CFD solver technology. KARALIT CFD is an immersed boundary method that promises to relieve the burden of preprocessing. The addition of EnSight to their portfolio is said to bring “world-class visualization” to KARALIT’s customers. Mesh methodologies for CFD. Image from LearnCAx. The new LearnCAx blog offers online instruction in computer aided technologies and their first posts constitute the beginnings of an introduction to CFD. 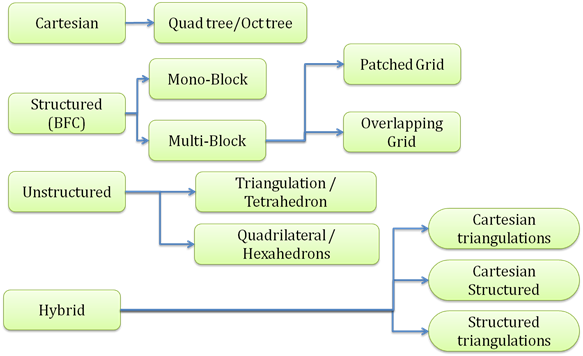 The four articles posted so far cover What is CFD?, Preprocessing – Selecting the Domain, Preprocessing – Grid Generation, and Preprocessing – Boundary Tagging. More posts are promised on solver and postprocessing technologies. The 10th International Meeting on High-Performance Computing for Computational Science (VECPAR 2012) will be held 17-20 July in Kobe, Japan. CFD results for a light sport aircraft from Stallion. For those of you who write code for a living, you might be interested in Light Table, a new IDE concept. 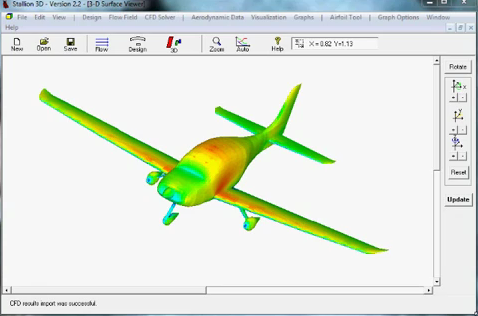 Hanley Innovations has blogged about how to setup CFD for a complete aircraft in about a minute using their Stallion 3D software. Optimizing data centers for energy efficiency using CFD and other tools may or may not be worth the effort. This entry was posted in Applications, Events, News and tagged CEI, EnSight, Hanley innovations, KARALIT, Stallion. Bookmark the permalink. Thanks for introducing LearnCAx Blog to your reader.